It wasn't the best summer for Hollywood in 2014. Box office takings were down considerably, with none of the big hitters succeeded in bringing in as much money as the blockbusters of the previous year. 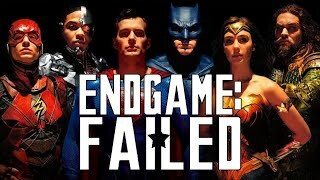 In some instances this was a shame - the quality of the comic book franchises is certainly improving while new titles such as Edge Of Tomorrow proved to be much better movies than many were expected. And yet, there were more than a few successful films which really didn't deserve to do so well. If the Sony leaks have highlighted one thing it's that people working in the industry share the same frustration as many of us movie fans - the overall quality of films seems to be deteriorating, as the studios pump out one generic, effects-laden blockbuster after another without ever trying to break the mold. A little - or rather, a lot - more originality certainly wouldn't go amiss, to break up the predictable flow of franchise sequels and boring remakes. That said, ticket sales for a number of truly awful movies seems to indicate that the public are willing to shell out their hard earned cash to watch rubbish, which probably explains why the studios keep on churning them out. The following list covers ten such dreadful hits which really should have bombed at the box office. Once audiences stop paying to see these terrible films, maybe the studios will think about focusing on something far more worthy of our time and money.